Brittney Griner (Phoenix Mercury) scored 15 points in her 2018 FIBA World Cup debut in a 102-76 victory over Latvia at Quico Cabrera Arena in Santa Cruz de Tenerife, Canary Islands on Tuesday night. For the first time in the 65-year history of the FIBA World Cup, the USA Basketball World Cup Team reached 100 points for the second time in group play. The USA (3-0), which has won 19 consecutive World Cup games, advanced to a quarterfinal game on Friday against the winner of the play-in game between Greece (1-2) and Nigeria (2-1). The game will be televised on one of ESPN’s channels to be determined, based on the USA’s quarterfinal game time. 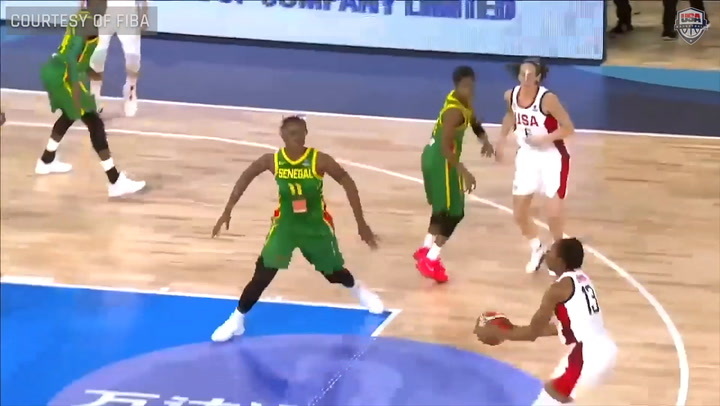 Griner missed the first two World Cup games because of an ankle injury. Her efficient presence – she made six-of-eight shots in just 13:25 – was central to the USA’s effort to conserve energy as the team approaches single-elimination play. Sue Bird (Seattle Storm) and Elena Delle Donne (Washington Mystics) were rested. The USA, which scored 100 points in its victory over China on Sunday, became the second team in World Cup history to reach 100 points twice in the group phase, joining the 1975 team from the Soviet Union. The USA has won its three games by an average of 19.3 points. But it remains a work in progress, and Griner’s return became an important step. It was the USA’s first game against Latvia in either Olympic or World Cup play. The only other outing between the two countries came in the 2008 Olympic warm-up tournament where the USA won 84-74. 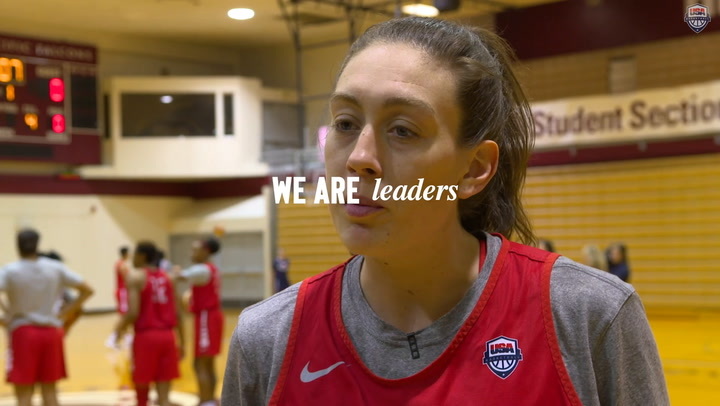 USA and University of South Carolina head coach Dawn Staley said she rested Bird and Delle Donne, because she didn’t want to take a chance by playing them. Bird suffered a broken nose and Delle Donne bruised a knee during the WNBA playoffs. Having both players healthy during the medal round games will be a major help for the USA. Tina Charles (New York Liberty), who led the USA with 18 points, applauded her coach’s decision to rest her teammates. Staley also got a chance to spread some playing time around in the process. The other 10 players on the roster spent 13 or more minutes on the court. Breanna Stewart (Seattle Storm) and A’ja Wilson (Las Vegas Aces) scored 12 points. Jewell Loyd (Seattle Storm) finished with 11, and Nneka Ogwumike (Los Angeles Sparks) had 10 points. 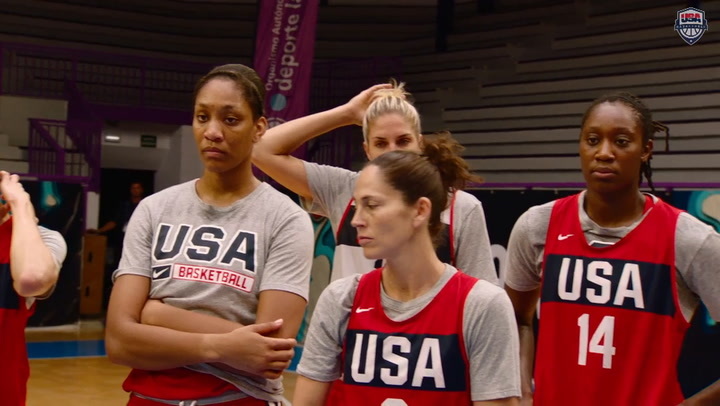 Monday had been a practice day for the USA, because there were no games to play. Staley said the practice day allowed for the coaching staff to make the players aware of certain things. One area that showed improvement following the practice was defense, an area that Staley mentioned was under construction after the win against China. The USA gained separation by outscoring Latvia 26-8 in the third quarter, including a 17-0 run to close the period. Layshia Clarendon (Connecticut Sun) led the defense by coming up with four of the team’s nine steals. The USA was the only team in Group D that managed to outrebound Latvia. Latvia topped China and Senegal on the boards by a combined 16 rebounds. However, the USA outrebounded Latvia, 56-39. Latvia has been eliminated from its first World Cup in history after going 0-3 in the group phase. Latvia lost its previous games against Senegal and China by a combined four points. Anete Steinberga scored a game-high 30 points against the USA. The University of South Florida senior Kitija Laksa said there aren’t many words that can describe her experience of representing her country in the World Cup.